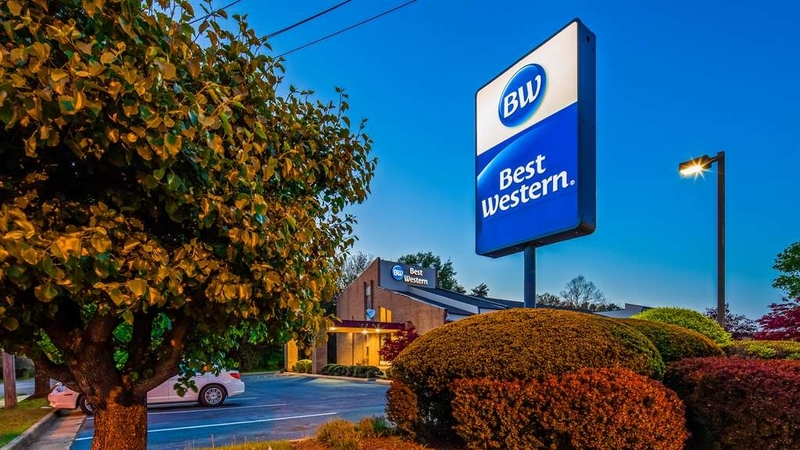 El Best Western Manassas se encuentra en el centro de Manassas. Venga y disfrute de las mejores atracciónes turísticas cerca de nuestro hotel. Precios bajos garantizados y ofertas exclusivas. Situado a poca distancia del casco antiguo de Manassas y el Center for the Arts, el Best Western® Manassas cuenta con la ubicación perfecta para escapadas en familia. Este hotel de Washington DC está situado junto a una gran variedad de atracciones de primera categoría entre las que se incluyen el Manassas Battlefield Park. El campus de Manassas de la Universidad George Mason, situado a poca distancia en auto, atrae de manera habitual a profesores universitarios, estudiantes y familiares de viaje en la región para visitar las instalaciones de esta institución. 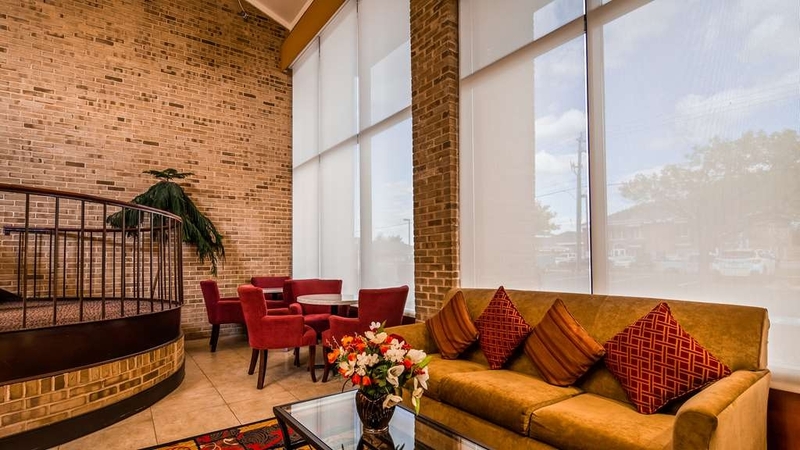 Este hotel está situado a poca distancia del aeropuerto de Dulles, lo que convierte nuestro confortable e impoluto establecimiento en un fantástico lugar para su estancia. 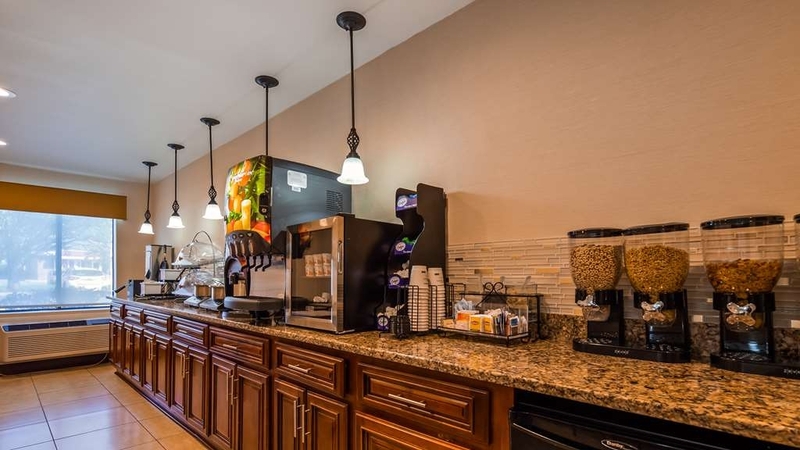 En la zona, nuestro hotel de Manassas es ampliamente conocido por facilitar en gran medida los desplazamientos al aeropuerto de Dulles, por su cómodo acceso a las atracciones de Washington DC y, por supuesto, por su magnífico desayuno continental gratuito BEST WESTERN y el acceso a Internet inalámbrico. Sabemos la importancia que tiene comenzar la mañana de la mejor forma, siendo por ello por lo que ofrecemos a todos nuestros huéspedes un desayuno continental ampliado. Aquí podrá encontrar interminables raciones de gofres, fruta fresca, exquisitos pasteles, yogures, cereales, jugos fríos y café 100% Arabica cada mañana. Tanto si se encuentra aquí para visitar el parque Manassas Battlefield Park como para explorar el casco antiguo de Manassas, la ubicación es un factor clave. 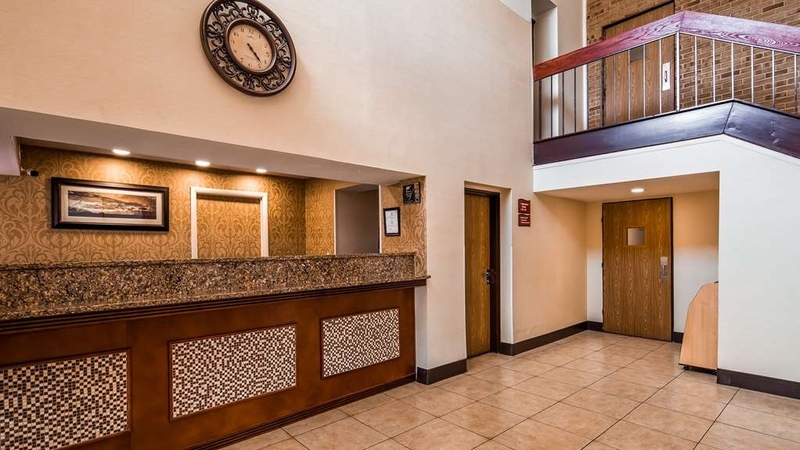 Nuestro hotel se encuentra a sólo unos minutos de las principales atracciones de Washington DC pero lo suficientemente alejado como para ofrecer unas amplias habitaciones con una excelente relación calidad-precio. Nuestro cordial personal se encargará de proporcionar a todos los huéspedes una agradable y relajante estancia. 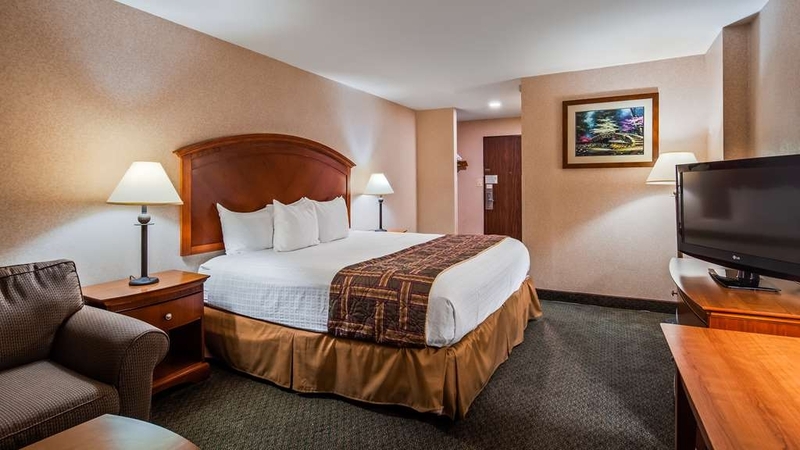 El Best Western® Manassas es también uno de los enclaves preferidos por los huéspedes en viaje de negocios que desean disfrutar de todas las comodidades propias del hogar y de servicios de calidad. Entre nuestros huéspedes habituales se incluyen numerosos viajeros de negocios y otros muchos pertenecientes a agencias gubernamentales y empresas locales. Nuestro hotel le permitirá disfrutar de ocio y negocios durante el mismo viaje. 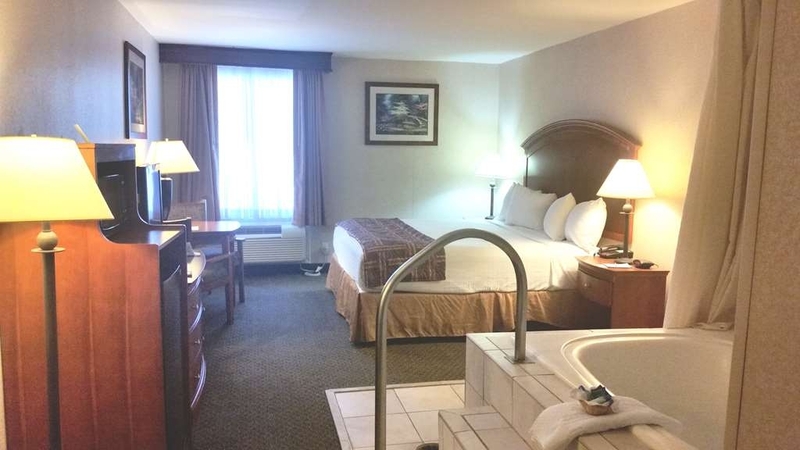 Reserve una de las apacibles habitaciones del Best Western® Manassas, un hotel en el que estará situado a poca distancia de todos los lugares de interés. Disfrute de su estancia en nuestro hotel. Decent room. Toiletries on wall in combo shower/tub reminded me of a gym. Main lobby and hallways had a odd odor. But I was not paying out of pocket and this was a business trip. I could stay there again if needed for work. Great location, close enough to things but not right on top of noise. We had an accessible room which was pretty good. The price was great. The staff were friendly. Breakfast was part of the price. It could have been better but it certainly was sufficient. Close to gas stations, shops, and places of interest. "The staff was excellent as always." The room is clean and comfortable. The property is always easy to access. The staff is always friendly and the breakfast is fresh. The reservation and rewards process is easy and convenient. The WIFI is always reliable. Courtesy and customer service is excellent. It was clean, quiet, and comfortable. The breakfast, albeit limited, had something for me and I am vegan, The breakfast room had almond milk! Espresso from a free machine was available in the lobby. I would return when in the area. We were without a car and it was cold at night. The desk suggested having food delivered and we did! Dear Donna, We appreciate you taking the time to share some feedback on your recent stay here at the Best Western Manassas. It's exciting to hear that our excellent service, well-maintained accommodations, and delicious breakfast were a few highlights of your stay. We're excited to hear you'd join us again, and we look forward to delivering another inviting experience when your journey brings you back our way. Enjoyed everything. Beds were so comfortable and the continental breakfast food was fresh and hot. Totally enjoyed my stay.Will definitely stay again and would have no problem recommending this location to my friends and family. Dear Betsy, Our team loves hearing from satisfied guests! It was such a treat having your company, and we are elated that you enjoyed everything about your experience, from our comfy beds to our hot and delicious breakfast. 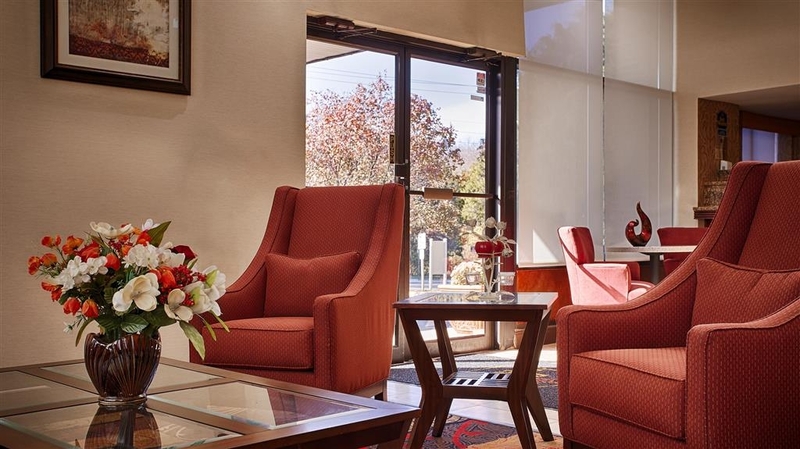 The best compliment a guest can give is to return to a hotel that they love and to share their experience with others, and we can't wait to take care of you again at Best Western Manassas! I had to wait 15, yes fifteen, long minutes to be let inside the hotel late at night and it was freezing outside as it was December. And to make it worse she reeked of pot. When I tried asking her where she had been she just looked at me. I called the hotel repeatedly from outside as well. Dear Renee, The issues you raise are important to us. Please accept our apologies for any difficulty getting into the hotel as well as for any concerns about our staff. Your feedback helps us improve, and we'll speak with the person involved. If you find yourself back in the area, we'd be grateful for the chance to provide you the excellent service you expect and deserve. It was a pleasure hosting you at Best Western Manassas! We're thrilled our comfortable rooms provided you the ideal place to rest and that our location was perfect for your trip. Thank you for your compliments on our excellent breakfast menu and friendly service. We're so pleased you enjoyed your stay and we look forward to seeing you again soon! Good: Staff was friendly. Fitness room clean and in working order. Bad: My first room had weird smell, broken chain lock, and missing security window lock. Breakfast edible but not good. No one gave me wake up call I requested. The manager gave me late checkout to compensate, which I appreciated. Thank you for taking a moment to leave a review of your recent visit. While we're delighted to know that you enjoyed our friendly staff and well-appointed fitness room, it was unfortunate to learn other aspects of your stay didn't fully meet your preferences. We've informed our maintenance team of your comments so they can quickly address any concerns, and we would like the opportunity to deliver the full-value experience you deserve should your travels bring you back our way. The hotel could use some updates. The daytime front desk staff need to be counseled on customer service. The mattresses we're quite worn out. Overall, we would stay there again if we were visiting Manassas again. Thank you for staying with us and taking the time to leave us a review. While we're glad aspects of your stay were comfortable, we're sorry for any concerns about upkeep and appearance as well as for any disappointment with the service you received. It is through feedback like yours that we're able to improve, and we welcome you to stay with us again the next time you're in town. "Old, Run down, DESPERATELY in need of update"
I stay at Best Western hotels pretty often as I know they have stepped up their game recently and many hotel are very nice for the price you pay. This hotel is not one of them. The hotel is small, old, lacks everything that makes it a good stay. I checked in pretty late so I can't speak for the service too much, no complaints there. But I could tell the entire hotel was musty and wet as soon as I walked into the hotel. When I walked into my room it was even worse. The décor reminded me of the old motels Best Western was known for 30 years ago. It was extremely wet and humid (even though the day wasn't) and the A/C did not work well. The amenities provided was minimal and I noticed damaged on the seat, tub, the wooden furniture, etc. The bathroom had not been cleaned well either. It was negative on so many levels. Don't get fooled by the Best Western name, this hotel does not deserve it. You would be better off staying at any other hotel this one. I will never be back and might even consider not staying at Best Western hotels in general if they keep hotels like this in their portfolio. Dear Jessica, Thank you for taking a moment to share your recent stay. It was unfortunate to hear that the decor was not to your preference during your visit, and we'll be sure to consider your comments as we continually touch upon our guests' accommodations. Given the opportunity, we would like to change your perceptions and deliver the exceptional experience we're known to provide. Thanks again, and happy travels. I stay at this hotel weekly. The staff is always courteous and helpful. There is new management who genuinely cares about the customer! He went out of his way to introduce himself and let me know he is there if I need anything. Dear Brandon, Thank you for leaving us a review, your wonderful feedback brightens our day. Here at Best Western Manassas, we care deeply about our valued guests and love reading your kind comments about our excellent service. We're truly grateful for your repeat business and can't wait to serve you again. We spent 2 nights here. The rooms were clean and comfortable. The breakfast was better than a lot of places we've stayed that offer free breakfast. The people working the front desk were incredibly nice and went out of there way to accommodate us. Highly recommended. Dear Jason, Our team is delighted that you appreciated their friendly and attentive service. We are thrilled to know that you enjoyed your two night stay with us here at Best Western Manassas. Also, it is wonderful to hear that you found our breakfast was delicious and superior to many other hotels. 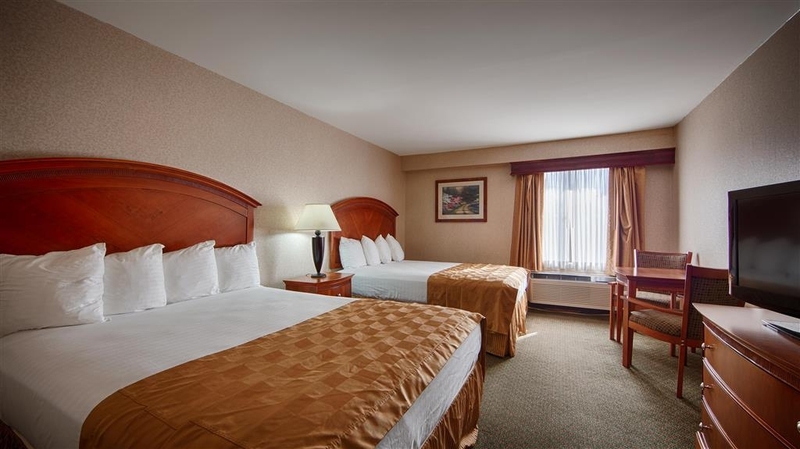 Should your travels bring you back to the Manassas area, we look forward to having you stay with us again. Booked two rooms on the ground floor, one of these rooms was extremely damp and smelled very musty, the other room was ok. Returned to front desk and requested a different room. Desk personnel were very apologetic and offered us a different room on the 2nd floor. This room was also in similar condition in that it was very damp and smelled extremely musty and everything felt damp. Returned to front desk and was told they had no other rooms ready for us to check out. As we were in town for a social event and had no more time to wait around to see if a better smelling room would become available, we settled for the 2nd room and made the best of it. Dear Ernest, Thank you for choosing us. We value your feedback and regret to hear that our accommodations did not meet your expectations in every respect. It is disappointing to know that our attempt to resolve the situation, did not improve your experience. We never want our guests to have to make the best of it, but rather have a fantastic experience. Our service team will put our heads together to uncover what created the issue you encountered, and make sure those rooms represent the accommodations we strive for. We hope that you really enjoyed your time here in the area and it would be an honor to have the opportunity to deliver you a superior stay in the future! The staff was very courteous and helpful. The room was a nice size with comfortable beds, microwave, and fridge. Breakfast was just okay, but there was something for everyone's taste. The fitness center is a little small, but the equipment is easy to use. If you can't figure it out, the staff is very willing to help. 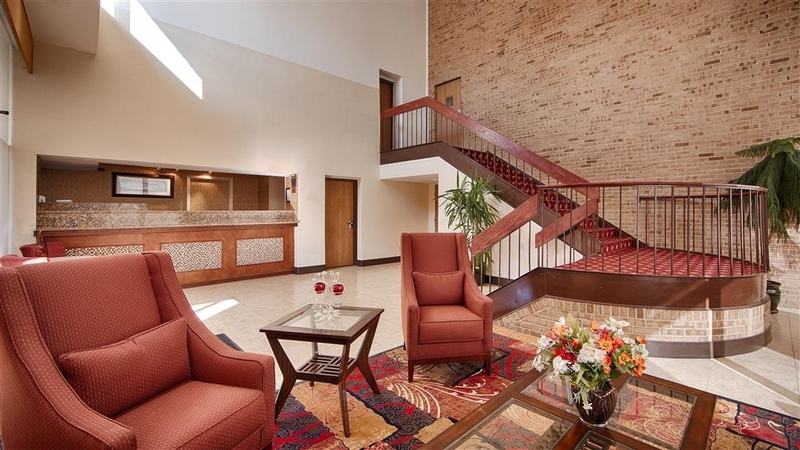 Overall, its a nice place to stay in a good location for interstate access, shopping and great restaurants. 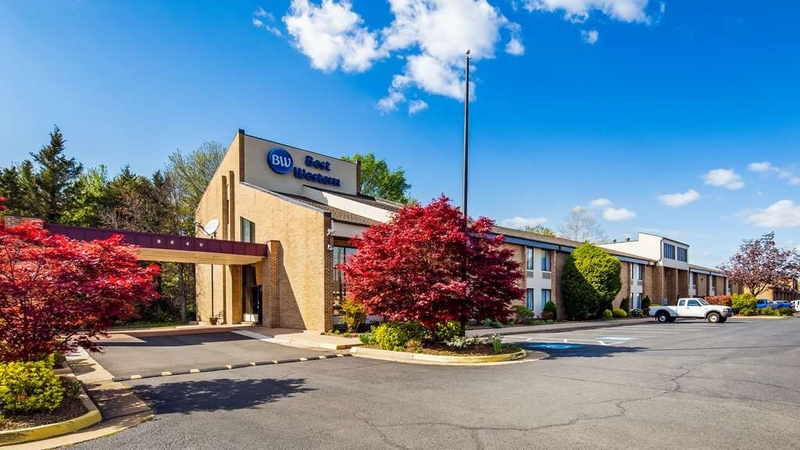 Dear Steff, It is always a tremendous honor to not only have the opportunity to serve our guests but then to hear back that they enjoyed their stay at the Best Western Manassas. It is wonderful to see that we offered comfortable accommodations with the in-room amenities to help you feel like you were at home. While you appreciated the variety that our complimentary breakfast provided, we regret that it didn't quite meet your expectations. However, it is nice to read that our convenient location and helpful staff helped ensure you had a pleasant overall stay. Thank you again for your feedback, and we hope to welcome you back as our guest the next time you are in town. We asked about an early check in and the staff was very helpful. bed was comfortable. Breakfast was just ok, but decent. Fitness center was small, but better than most places...they had a leg machine! Maybe a little pricey, but good overall. Dear Brian, Thank you for choosing Best Western Manassas. We were delighted to have you with us! 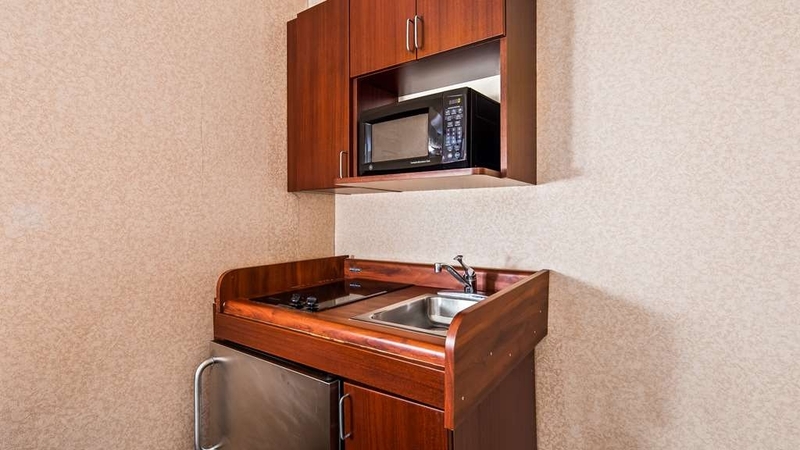 As you detailed, we have a variety of amenities here on-site to help you feel right at home. 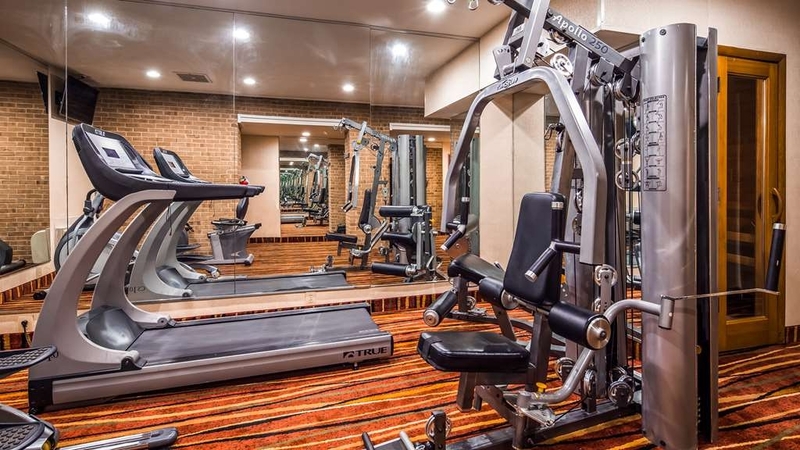 We're happy to see that you could get your sweat on in our fitness center! Providing comfort, quality, and convenience at a great value is what we do best. Come back soon! staff friendly and helpful. Rooms are very clean. They reccomended a resturant which was terrific. Like where the locals eat. We had a great time. Breakfast was great. The location was centerly located from where we had to be and that was a plus. It was easy to get around. It was terrific to have you stay with us here at Best Western Manassas. We are delighted that you enjoyed your clean and comfortable room and that our team provided you with friendly and helpful service as well as an excellent dining recommendation. Additionally, we are pleased that you enjoyed your scrumptious breakfast and our convenient location. 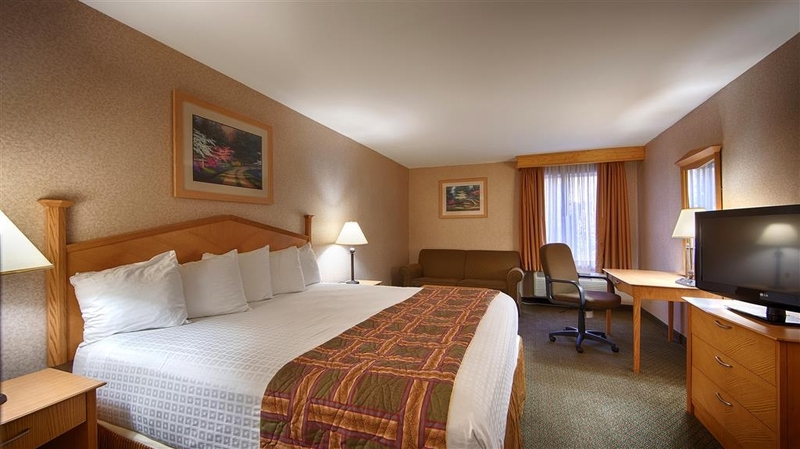 Should your travels bring you back to the Manassas area, we look forward to you staying with us again. We had a great night. The hotel was full because of a concert, but we didn't have any trouble checking in or with noise. The staff was very friendly and answered all of our questions. The best part was the coffee machine in the lobby. After 7+ hrs on the road, it was nice to refresh with an espresso! Nice location. Clean room. Nice folks. Convenient location to restaurants. I would stay in the hotel again. Breakfast room was a little tight but food was good. I stay in a lot of Best Westerns and this one as as clean as any. "Not State of the Art Hotel but it was Quiet"
I know Best Western has rebranded itself but it needs to update it's rooms to go along with the rebrand. My room had a microwave, fridge, and coffee pot, but the fridge was so loud I had to shut it off to sleep. The bed was very comfortable and the heating/vend system was fairly quiet. But plugs for electronic devises in the room were hard to come by and some of the outlets were so old they wouldn't hold my power cords. The bedside clock was not correct and was flashing the wrong time. There are some signs I used to judge a hotel, as to its cheapest and/or safety. If the hangers are theft proof (which I detest since I think to hang my clothes in the bathroom to steam when I shower and avoid using the ironing board, which was not possible here), if the iron is locked to the ironing board, if they have pumps in the shower for shampoo, conditioner and body wash (instead of small bottles. Unless you give me a luffa, don't give me liquid soap, if the fan automatically turns on with the bathroom light and if the towels are small and look like they've been washed hundreds of times. The breakfast room is fairly small but I was able to find a seat each morning. Nothing special on the breakfast menu. 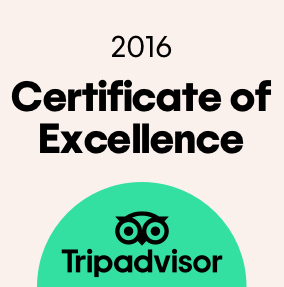 On behalf of our entire team, I would like to apologize for not exceeding your expectations Your satisfaction is important to us and we will be using the feedback you gave us to implement improvements to ensure we offer a better experience for guests in the future. great service overall - do need to fix the wallpaper tear, The fridge also had made a really strange noise. The breakfast was really good, I liked being able to have many options with cold and hot food. Thank you for completing the survey regarding your recent stay at our property. Your business is very important to us and we value your feedback. Thank you. This was my second stay at BW. The previous was at Hartford, CT. This hotel looked ok from the outside but I felt that the interiors were old and dated. Power points were not conveniently located. The place was clean and housekeeping was good. Beds were comfortable enough. Pillows were hard. Breakfast was good as compared to others. Microwave and Fridge was a definate plus. Over all a fairly comfortable stay. Thank you for completing the survey regarding your recent stay at our property. Your business is very important to us and we value your feedback. We appreciate your loyalty to our brand. Thank you. "From a small town in Pa"
Thank you again for taking the time to complete the survey. We appreciate your loyalty to our brand. "Nice to be off main Road"
On a Side road that is not nearly as busy. Had cleaning and repair trucks outside and a few rooms were out of service. Our Room was recently updated and was good. Bed was comfortable and breakfast was OK, But I didn't dare try any of the hot food. Second floor has no Elevators to it so be careful not to get the second floor if you need one or cant carry your bags. Room looked ok, sheets were worn out and had blood spots and streaks on them, pillows were tiny, hard, making it impossible to keep your head on them. Someone passed out on the lobby couch when I left at 4 am because I couldn't sleep. On behalf of our entire team, I would like to apologize for not exceeding your expectations. Please know that your comments have been reviewed in detail with housekeeping department and steps have been taken to ensure these fault are solved promptly and impeccably for our future guest. In lobby couch was one of guest waiting for her ride after she checked out. I hope that you will consider staying with us again so that we can have another chance to provide you with a superior experience. Odd lady at check-in...but an jnteresting character. Very accomodating. My only real objection: the worst breakfast I have seen in a motel. I sent a photo of my plate to Facebook...it was so pathetic. Otherwise, a Decent Place to stay when you need a place. $100 seemed high but maybe not for the area. Thank you for completing the survey regarding your recent stay at our property. I would like to apologize for not exceeding your expectations Your satisfaction is important to us and we will be using the feedback you gave us to implement improvements to ensure we offer a better experience for guests in the future . I am concerned to hear that there was an issue with the breakfast food, we would greatly appreciate it if you could share recommendation how to improve our breakfast. We do hope to have the opportunity to welcome you back in the future, so that we can provide a better experience. Thank you. The comfort and cleanliness of the rooms has really improved since previous stays at this location. I had a much different experience here a month ago, so apparently rooms are undergoing an upgrade. I hope all the rooms here will soon be like the one I had (Rm 205). "Stayed here while visting DC"
Usually stay in their Plus or Premiere hotels. Was happily surprised with the amount of room. Beds were comfy. Only 20 minutes from metro station. Breakfast was good and varied a little so it wasn't the same thing every morning. Nice quiet area. Thank you for completing the survey regarding your recent stay at our property. I am pleased to hear you enjoyed your stay with us. It's something our staff takes great pride in, so we value your feedback. Thank you again for taking the time to complete the survey. We appreciate your loyalty to our brand. Good hotel. Clean and safe. Good location right off of Mathis. Food nearby. Gas stations nearby. Easy access to the highway. Clean bathroom. Big beds with lots of comfy pillows. I will be staying here again if I need to return here for business. Thank you for your kind words. We are happy to hear you had a wonderful stay here at the property and would recommend to Family in Friends. Hope to see you soon again when traveling or visiting in the area. A good stay if you are in the area and want a quiet hide away. It is close (15-20 minutes) to our interest of shopping at the local Korean stores, restaurants and Spa. There is some construction underway but it did not interfere with our plans or rest. Would stay again. Spent one night. The place was quiet, the breakfast was good, and the employees were nice. What more can I say? We had a good stay. By chance this was our second time staying at this location. The last time was 3 years ago, I think. Seems to me that this stay was better than our last stay here. Hotel lacks curb appeal. 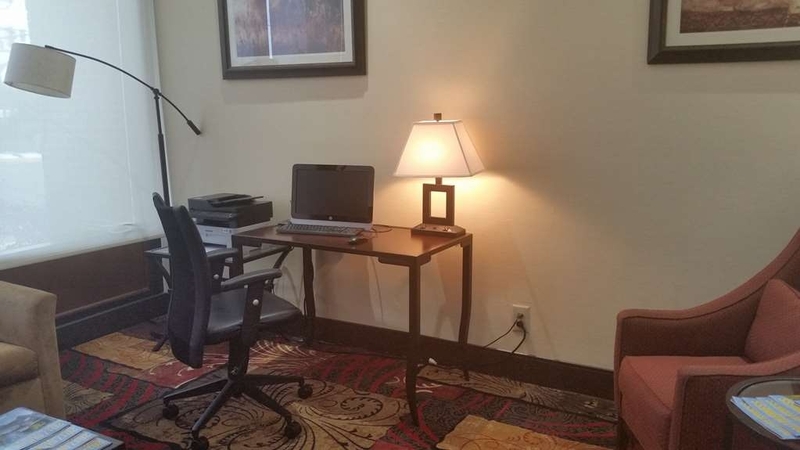 Great room - very clean, excellent features, good service cleaning. No elevator was a big minus. Breakfast area tiny. Food average. We had to eat in lobby one morning and with more that 2 other persons in breakfast room, it was uncomfortable. Breakfast juices were watered down. Hotel breakfast lady had difficulty maintaining adequate levels of food when it was busy (more than 4 guests at once). "Great Staff Clean and Quiet Hotel"
Daxa, The hotel manager is a shining example of hospitality and it shows in her staff. This place is quiet, clean and comfortable. Hot breakfast every morning from 6-10am. It's surely worth the money and will exceed expectations. Staff was very helpful prior to and during stay. Worked with me to repeatedly modify our reservation as our needs changed which was awesome! Rooms were very adequate. Breakfast was so much more than expected for this price point. Motorcycle friendly! Room smelled like mildew and the A/C took a long time to cool. The TV channels were fuzzy. The room was clean tho and the staff were nice not much of a breakfast but I don't eat the hotel food anyway. Overall not a bad place but just can't deal with the mildew smell. On behalf of our entire team, I would like to apologize for not exceeding your expectations Your satisfaction is important to us and we will be using the feedback you gave us to implement improvements to ensure we offer a better experience for guests in the future. Thank you. "Hotel Copies and keeps a copy of your Drivers License"
This property has a requirement to copy your drivers license and then refused to give the copy back to me upon departure. I addition staff said that local police require it 'because of the area' and the local police do come in and look at the licenses. I will never stay at this property again. Breakfast was poor quality and cold. Staff were very nice and friendly. Very welcoming and helpful. The hotel and our room was nice and clean. The staff were helpful in giving when asked good places eat and some sites that we should see. We would stay here again. Thank you for completing the survey regarding your recent stay at our property. Your business is very important to us and we value your feedback. If I can be of assistance in the future, please don't hesitate to contact me at 703-368-7070. Thank you again for taking the time to complete the survey. We appreciate your loyalty to our brand. 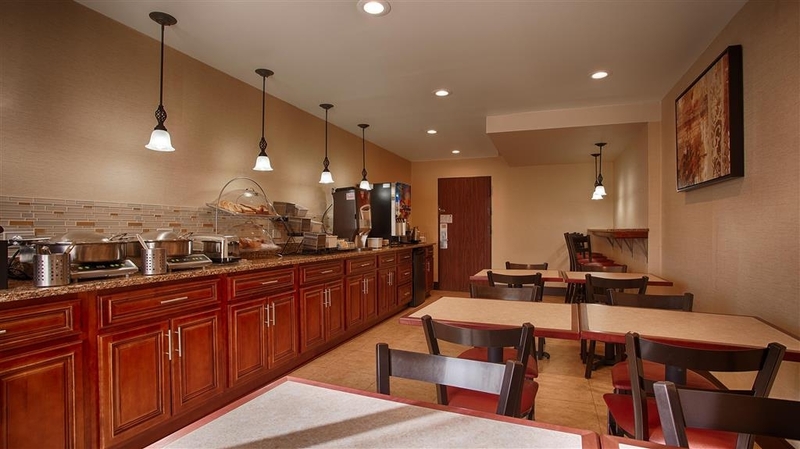 Very nice stuff they always there, place is clean and smell good, parking always clean and have many places to park, breakfast always fresh and fully stuffed, every time we go there, we receive a very hot welcome and very nice service. "Hotel needs to be updated." We stayed in this hotel for three nights. The staff at the front desk were friendly but not very helpful. We arrived at 21:00 and still had not had supper. When we asked if there was any restaurant that was still opened we were told "I do not know but there is an Italian place not far from here you can try". We found out later that IHOP is opened 24 hrs and was only five minutes away! (we put restaurant in our GPS and just started to go to all of them to see which was opened, not fun when you have just driven 12 hours!) Our room was a good size with two queen beds. The room was clean but needs updating. The T.V worked the first night but not the rest of our stay. When we called to the front desk we were told that a car had hit a pole and that they were unsure of when it would be repaired. (two days to fix a cable pole???) When we turned our heat on there was a stale smell coming from the heating unit. It did not last long but while it did it was very unpleasant. During our second night for some reason the heating unit started to pump out cold air. I woke up freezing and put the heat as high as it would go,It changed back to heat. The mattress is not bad but the linen needs to be updated. The blankets given were not very warm. The bathroom is an o.k size.Water pressure is good but the second night I had to turn the tap all the way to hot to get warm water. The floor around the toilet always seemed to have a small amount of water on it. I think the toilet had a small leak. My husband tried the gym equipment but stopped after 10 minutes as both machines were running very poorly and he did not feel safe using them. We told the front desk but the next day the machines were still running poorly. The breakfast was one of the worst I have had in this type of hotel. The eggs were overcooked,often the containers were empty,and the selection was very limited. I am baffled as to why so many people review that the breakfast is good. So to summarize the staff here are friendly but not very helpful. The rooms are below average,breakfast is below average. Hotel is kept very clean. The price is average. Just need a place to stay overnight and do not want to blow your budget , it is not the worst place you can stay. Staying for more than one night chose another hotel. Good value and great staff! The breakfast is fresh and the location is good. I have stayed here for a long time and will continue to stay here. I am a light sleeper and there isn't any tolerance for loud guest. Every guest is treated with respect. Thank you for taking the time to review our hote. It will be pleasure to share your kind words with staff. Your business is very important to us and we value your feedback. "Central location, clean rooms, helpful staff"
We selected this property for its location and weren't disappointed. It is an older hotel but is well cared for. It was especially cold when we were there and only 1 thin blanket on the bed. Breakfast has wide selection but staff could be more attentive to replenishing empty containers. Nonetheless, for the price and location, we will stay there again. Thank you for sharing your trip with us. We are pleased to hear we met your expectations and you enjoyed your stay. We hope to welcome you again during your travels. We appreciate you taking the time to share your valuable feedback with us. "Pleasant staff and comfortable rooms"
The rooms are typical but well cared for and spotlessly clean. Extra soaps and shampoos. Staff was very helpful and friendly on check-in. They have a nice breakfast with a good selection. A good deal. I would definitely stay again. We choose this hotel because of the location. Only 10 minutes fro work. The hotel is dated but the owners are working to upgrade. The staff is friendly and courteous. Our room was on the 1st floor on the back side and very quite. This hotel was great! Check in was simple (and we checked in late). The front desk had a ready made pamphlet with directions and parking to the show venue (Jiffy Lube Live) The rooms were clean, beds were comfy and the continental breakfast was excellent! All of this for a fair price. I would stay here again and recommend it to anyone traveling through or to Manassas. "Ok Place for a One Night Stop Over"
We were looking for something convenient to the highway, clean, basic, and pet-friendly for a one night stay on the way to a longer trip. We got what we expected. The room was very basic, but beds were comfortable. The bathroom left a little to be desired. There seemed to be a lot of mildew on the shower surround (nothing bleach and a scrub brush couldn't cure) and a hole in the shower curtain. The hotel itself is showing it's age and is in need of repair/updating. The inner courtyard was a pleasant surprise. The desk staff needs to better monitor it, though. At 5 am I was out walking my dog and there was a large, loud group of 20 somethings - they looked kind of thuggish and were rapping with a lot of profanity. It made me a little uneasy walking through there. Minimally the hotel staff should have told them tone it down and clean it up. The keys to the room were kind of annoying, as it was very difficult to get the door open. The morning breakfast was about what you would expect for a hotel complimentary breakfast. The breakfast area had enough space and was kept clean. The only negative there was the large, open trash barrel where. Kind of gross. Should have been something with a lid. Staff by and large was helpful. "Watch offer 10% off local IHOP"
Room was clean though carpet had large water stain. Fortunately earlier reviews warned that there is no elevator - we should have been informed on the phone when we called. As disabled seniors, we could never bring luggage (and ourselves) up the steps. We called and the front desk guaranteed us 1st floor rooms. They don't do emailed confirmations, just gave us a confirmation number. The guest book in the room stated that we would get 10% off the local IHOP price (it gave the specific address we went to). Assuming it was correct we ate at the IHOP and mentioned the 10% when getting the receipt. They knew nothing of the offer and did not deduct anything. We asked at the motel front desk who knew nothing either. We asked them to check corporate and haven't heard anything since late June (and it is Aug 8th). So if you see the offer in the guest book, call first to confirm. We are out a couple of dollars - fortunately we did not have a larger check. We did appreciate the refrigerator in the room. "Great staff, but badly needs renovation"
We stayed at this hotel because it was close to Jiffy Lube Live, and we didn't want to drive all the way home after our concert - good thing because it was after midnight when we got back to the hotel. The desk clerk was helpful and friendly and dealt with a problem with our reservation (not the hotel's fault nor hers) with calm and professionalism. My wife got some needed help and some local information from one of the cleaning staff members while she waited for me and the clerk to clear up the problem. The room was clean, and had everything we really needed. Breakfast was reasonably good, and once again the staff showed themselves to be friendly and helpful. However, the hotel room was badly in need of work. The carpet, bedspread and blankets were worn and stained. Bathroom, though clean, had visible rust, Furniture was a bit nicked and scratched. The pillows were square, not rectangular, which meant that it was easy to roll your head off the pillow. Fortunately there were three on each bed, so I was able to put two next to each other - better, but not great. Altogether - I'd stay for location and staff, but I sure hope that a renovation is in this hotel's future. Thank you for taking the time to review our hotel. I am sorry you did not find the hotel to your liking. We are constantly making changes to better adapt to our guest needs and will use your feedback to make changes to improve upon our product. Thank you again for taking the time to share your feedback. I found this hotel to be reasonable, clean, easily located, and had an excellent breakfast selection. The best thing was their customer service. I left my laptop in the room at checkout. Staff found it and made sure it was shipped overnight to my home. I highly recommend this hotel, its amenities, and its staff who went above and beyond for me. Very good value; staff very friendly and helpful; rooms clean and quiet; breakfast quite good. It does not have pool or elevator but quality and value offset that. It is off the beaten path in Manassas Park, VA, but close to freeways for access to Northern VA sights. Thank you for the kind words and positive feedback for us. We are delighted to hear you enjoyed your stay and found the hotel an ideal fit for your needs. Thank you for the recommendation to others, we look forward to seeing you again as well. To start, I first made a reservation for three nights and added on an extra night. The first night and next day were great but after that, our stay went a bit downhill. The room wasn't cleaned the next day and I was told sorry, it won't happen again. The next day, it happened again. The front desk again said, sorry, not sure why that happened. Upon checkout, the additional night I booked messed everything up so I received a free night for all of the issues. This was a nice surprise which I didn't expect. The breakfast was very good but the rooms could use updating. I really enjoyed my stay at the Manassas Best Western. The room was great, the staff was very friendly and the breakfast was good. I would definitely recommend this hotel to anyone who is traveling near Manassas Virginia. "neat town; spectacularly friendly staff." Hotel rooms need updated, new mattresses and cleanliness poor. Breakfast buffet poor. Area is iffy so don't stroll around after dark especially alone. It is one of the cheaper hotels in the area and you get what you pay for. Dear jclenem728, Thank you for taking the time to let us know about your experience. I am sorry to hear that your stay here at the Best Western, Manassas did not exceed your expectations. We always strive to provide the best service possible to our guests. I would be curious to know more details about what was unsatisfactory about our cleanliness and breakfast so that I can review our standards with our staff to ensure that the highest level of service can be provided. I believe that you felt uncomfortable at night outside here, and apologize for this experience. If you should stay with us again, you are always welcome to ask for assistance from the Guest Service Agent at the front desk 24/7. Anytime you travel and wish to know the crime statistics and arrest information for an area you are unfamiliar with, there are many websites you can visit and enter the address of the place you would like to stay and see all the information for that area for free. Not only do I, and many of the staff here, live close by and can attest to the peace and quiet of the area, but the information you can find online will confirm that this is a very quiet neighborhood. I hope that you will continue this conversation with me in an effort to raise our standards and exceed our guests' expectations. I look forward to hearing from you and potentially serving you in the future. Again, thank you for giving us the opportunity to give you the best service possible. "Never again! Fridge didnt work, Bed was horrible, No hot water"
This was a pre-planned trip and both my husband and I smoke, so I called around to 8 or 9 hotels in the area looking for a room that allowed smoking. When I called this hotel, I was told they had smoking rooms available so I booked a room, even though I was hoping for a hotel with an indoor pool.... While on the phone I confirmed more than twice that this was a SMOKING room, and the lady said Yes each time I inquired. Upon my arrival to the hotel I was told the entire hotel is non-smoking. I said I confirmed with the lady I placed the reservation with, via the hotels phone, that it was a smoking room. The woman checking me in basically told me I was a liar. The hotel is located across the street from an Adult Toy and Novelty shop and an Oriental Massage business. I booked Room #115. I had nowhere else to go so I checked in on Friday evening 4/1/16 (after a 3 hour drive). The fridge in the room didn't work, so I went to the front desk to complain. The lady said "Well aren't you leaving tomorrow anyway?". When I told her I was there for the entire weekend they finally sent someone to the room to look at it - a female whom barely spoke English. She ended up bringing me another fridge. The bed was so uncomfortable that I woke up Saturday morning with back pains (and I don't normally have back pain). I could barely move. I decided to use to IN-ROOM Jacuzzi tub, but the water was luke warm and it was an adventure trying to get the jets to turn on. Saturday night I spent another uncomfortable night sleeping in that horrible bed and again woke Sunday morning with back pain. I went to the breakfast "room" where they had burnt scrambled eggs, cereal, and a small selection of pastries that weren't the least appealing. The area has a total of 6 tables grouped together in 3 rows. There was cereal and other food debris all over the tables, floor, and counter area, although there was a staff member in there filling a plate which she took to the front check in counter area to eat. She acted as though the mess was not visible. I decided I'd had enough of this place and began packing my car, that's when I noticed the trash laying around the exterior of the hotel. I was never so happy to be heading home!! Note; The window in the room was not that secure and there was no view. The notice on the back of the room door states they are not responsible for valuables if the door and window is not secure, so I was a tad insecure about leaving my belongings in the room for an extended amount of time. I made a typo of the photo of the room, it IS room 115, NOT 215. Thank you for taking the time to let us know about your stay here at Best Western, Manassas. There are two Best Western Hotels in Manassas, VA. I do know that the Best Western, Battlefield location on Balls Ford Road in Manassas near Rt. 66 does offer smoking rooms and an indoor pool. I am curious if you intended to stay at that hotel and if that is who you spoke with initially. The reason for my asking is because, we do not offer smoking rooms at all at this location. Upon check in, yes we would have explained that no one here would have told you that smoking rooms are available, because our entire building is non-smoking. I am sorry that you did not like the area our hotel is located. As for the Massage Parlor, I can assure you that it is indeed a respectable establishment that offers therapeutic massage exclusively of the legal variety. The MVC Adult Novelty store is also a respectable establishment that operates within the parameters of Virginia State and Federal Law. We cannot control the business that operate near our hotel. We can, however assure you that these businesses do not attract undesirable loitering or any unsavory business. Regarding your refrigerator, unfortunately we do not have a 24 hour maintenance person. When you had an issue with the refrigerator, in an effort to accommodate you post haste, one of our housekeepers replaced the refrigerator with a working one. Indeed, her English is not the strongest yet, however it is unnecessary to imply insult because of it. As for the beds, I believe that you found them to be uncomfortable. 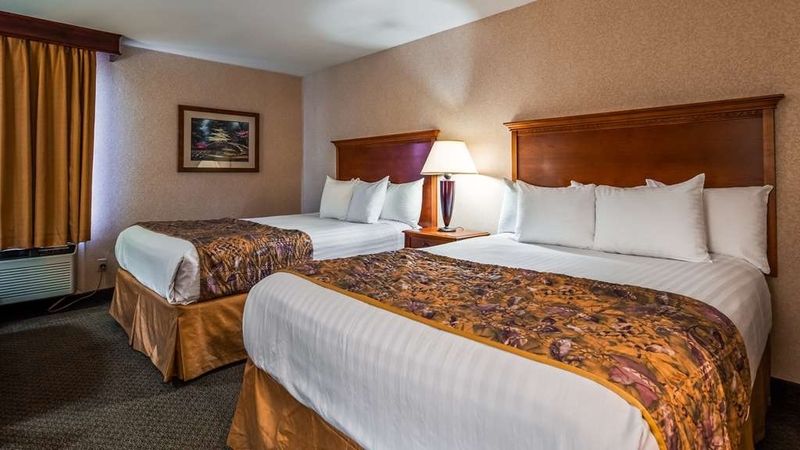 Our beds and pillows are selected by Best Western to provide the most amount of comfort available to the majority of our guests. We check them daily for any pests, stains, and defects. Unfortunately, we cannot assure that every mattress will suit every guest's personal preference. We do offer Jacuzzi rooms at this location. For guest comfort and safety, we do not keep the water temperature above a certain temperature. I do apologize if you found it to be too cool for your preference. The instructions for operating the jacuzzi tubs are located on the wall in the room. Anytime you should need assistance with something, we do have a Guest Service Agent at the front desk 24/7 who would be happy to help you with that. Yes, our breakfast room is a new renovation and is a little small. We do not have a large space in this building to offer a larger area. We offer eggs, meats, fruit, cereals, pastries, waffles, and much more 7 days a week from 6 a.m. to 10 a.m. There is an attendant who maintains the food and breakfast area. As to the condition on this day, I did not see this myself, but I will review with her our standards to ensure that this does not happen again. It is the job of all our employees, maintenance and housekeeping alike to keep the grounds here, clean, welcoming and inviting. Trash in our parking and grounds is not acceptable. It does happen occasionally, but is remedied with haste. We take a lot of pride in the care of our guests and our building. All windows and doors are checked routinely to ensure that they are indeed secure and safe. I would be curious to know what you experienced with the window in your room specifically, so that I can double check to make sure that is remedied. I hope that you will continue this dialogue in an effort to raise the standards at our hotel. It is important to hear from guests like yourself when problems occur so that we can do better. Thank you for your business and your time in giving us this review. Thank you for sharing your trip with us. We appreciate all feedback we receive as it allows us to see where we are doing well and where improvements are needed. Thank you again for taking the time to complete the survey. We appreciate your loyalty to our brand. If i can provide any assistance, please don't hesitate to contact me directly at 703 368 7070. Sincerely, Daxa Patel. close to Bull Run battle fields and an easy Metro ride into DC. Staff was very helpful and friendly, breakfast was very good. The only complaint, as with most other Best Westerns, is they usually are not within walking distance of a restaurant and/or bar so you must get in the car and drive somewhere. This hotel was clean and very comfortable. The staff were very helpful. I would not hesitate to stay there again. The internet was strong, the room was clean and the breakfast was fabulous. The staff were polite and helpful. I am on the road constantly and a good solid hotel accommodation is important to me. These guys do it right. Thank you so much for taking the time to review our hotel. It will be pleasure to share your kind word with staff. If i can be of assistance in the future, please don't hesitate to contact me at 703 368 7070. Daxa Patel. This is our second stay at this hotel and we have found both visits to be very pleasant. No complications or rude staff, the room was always very tidy and clean. We will continue to use this hotel when visiting family in this area. Thank you for completing the survey regarding your recent at our propery. l am glad to here that you enjoyed your stay with us. If i can be assisance in the future, please don't hesitate to contact me at 7033687070. General Manager Daxa Patel. Thy is is a very good hotel for the price with helpful and thoughtful staff. Close in to downtown Manassas,VA as well as major highways. Tidy breakfast room and good coffee. Staff make repeat guest, such as myself, comfortable being away from home. Room was a little run down. There were holes in the curtains, what looked like gum stretched out on the rug, a hole in the wall and the sink had a crack in it. We only stayed for one night but if it had to be longer I would has asked for another room. Thank you for completing the survey regarding your recent stay at our property. Your business is very important to us and we value your feedback. Thank you again for taking the time to complete the survey. We appreciate your loyalty to our brand. Everything worked or functioned as expected except for the clothes iron. The place was immaculate and relatively new, definitely a step up from Motel 6. The water was super HOT, the continental breakfast very good and the room noise level acceptable (main street side). All the business action one could want is right outside. First, this hotel has a good breakfast and the employees other than the manager or owner are nice and helpful. The manager or owner needs to take some customer service courses. The rooms were clean and the wifi worked well, but many construction workers stay here and they stay outside late into the night drinking, smoking, and talking very loud. This is not a hotel for a family or anyone that likes to sleep. If you like to party and stay up late, then this is the place to stay. Thank you so much for taking th time to review our hotel. Your business is very important to us and we value your feedback. We hope to see you again if you have an opportunity to return to Manassas Va. Thank you. "Was Awesome for 8 Hours of Sleep"
After a night of working at the local fire works show, we got to the hotel at 4am. The front desk lady was humorous and made us feel welcome, even at that time. We laughed and joked, which was nice. She promised us a late check out with no disturbances, and she lived up to her words. I didn't wake up till noon to my phone alarm. The room was clean, as was the bathroom. Other than that, I can't tell you much more. For a night's sleep, it worked great!